A cost-effective & state-of-the-art promotional tool! Convert your PDF and create Flash Interactive PDFs that are powerful promotional & selling tools, since they create an atmosphere with music and sound effects and bring your printed publications to life with flash and video. Being live 24/7, 365 days a year, they can be accessed quickly and easily by both your existing and potential customers and provide you with unlimited distribution potential, via email and through your web site, while bringing you cost savings (no print or postage costs). 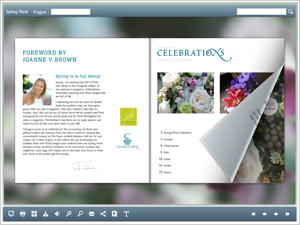 Open your Flash Interactive PDF in an enlarged single-page view. Zoom on your preferred part of the Flash Interactive PDF and scroll the page using the mouse wheel or the zoom-in & zoom-out buttons. Click, hold and drag around the zoomed-in page. Using your mouse, click, hold and drag the page corners to flip pages. Simply enter the page number (page numbers are displayed throughout your Flash Interactive PDFs). Your Flash Interactive PDF will automatically create and include the table of contents of your PDF file. Insert a keyword in the “Search” field and find what you want in the blink of an eye. You can download the original .PDF file as save it to a computer, usb etc. You are able to print all or some of your Flash interactive PDF pages at any time, either as single page or specific pages. Your Flash Interactive PDF can be found and crawled from the search engines. By giving us your Google Analytics ID you will be able to monitor your Flash Interactive PDF Statistics throught Google Analytics Engine. Flash Interactive PDF automatically detects mobile devices(smartphone, iPhone, iPad, Android etc). Owners of such devices will be able to view and use the Flash Interactive PDF even without installing Flash Player. Although your Flash Interactive PDF enviroment will automatically be displayed in English, you will be able to ask us your preferred language. We support English, Greek, German, French & Italian and we are working in order to support additional languages. 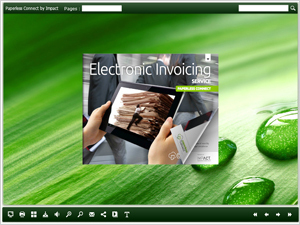 just by clicking on a link, you are able to see the Flash Interactive PDF without the inconvenience of downloading any special software. That increases the visibility to your readers / customers. 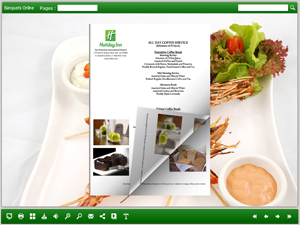 Flash Interactive PDFs involve no ink or paper and are therefore extremely eco-friendly alternative to expensive printed materials. for quick access & browsing of each page. Your Flash Interactive PDF will open quickly, without letting the user wait for long..
for optimum Flash Interactive PDF presentation. Your publication will always appear in the largest possible format. In addition it allows web browsing without scrolling. Your Flash Interactive PDF adapts to all screen resolutions. Your Flash Interactive PDF is easily readable on almost any device, ranging from iPhones and Androids, to iPads, and Tablets without any special required software or plug-in. Discover how many people have seen your Flash Interactive PDF publication, which pages have been most viewed and many more! You are able to host your Flash Interactive PDF publication to your Web Site hosting enviroment. No special hosting infrastructure is required. If you do not have a web site we are able to host your publication in our Web site only for 50 CHF per year. Experience for yourself our Flash Interactive PDF service before buying! to call on +41 (0) 77 44 84 303 or to complete the form in its entirety.